A blend of tradition and innovation ensures a perfect atmosphere for happy and relaxed children to enjoy and within which to fulfil their goals. Young boys and girls need time and space to help them achieve their potential, and what better location could there be than in the midst of the Surrey Hills? The views across the playing fields from our elevated site encompass the impressive red-brick Victorian façade of Cranleigh School, Hascombe Hill and the Sussex Downs beyond: an inspirational rural setting, yet within easy reach of London. The extended daily and weekly timetable, which is unique to Cranleigh’s day and boarding environment, provides the time for pupils to pursue their studies, sport and other interests. Our academic programme is designed to be stimulating and challenging. Pupils respond to the encouragement of our academic and pastoral staff, and whilst preparing to succeed at competitive independent schools, they are introduced to a life-long love of learning. Academic curiosity is nurtured and personal responsibility gained. 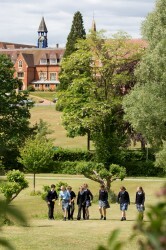 Life here at Cranleigh is lively, full and fun. We put the experience of each and every child at the heart of everything we do. 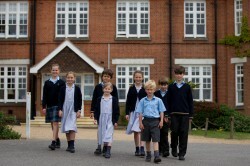 We hope you will come and see for yourself what goes on at this truly exceptional school. Please CLICK HERE to read about our future development plans in our Vision Document. We recommend a WiFi connection as the document is 10mb in size.